It’s always useful to get feedback from clients, whether it’s good or bad. The positive ones are always nice to hear, and the negative ones help us learn what we can do better, and these are the ones I try to spend more time focussing on. The email came from a client who purchased a ToughTech Duo from me some time ago and ran into trouble a couple of times with understanding exactly how to use the device. Based a couple of hours drive from us, it was impossible to visit her and show her face to face which would have been ideal in the circumstances, so there was a long exchange of emails and phone calls that eventually has got her up to speed and using the device how she expected. As you can imagine, this wasn’t without its problems! Talking someone through a technical question over the phone and email can be cumbersome, but finally we seem to have got there! This kind of feedback of course is invaluable. Not only does it make me feel good to have a happy client, it’s also great to put these testimonials on our web page. If you’ve used our services in the past and would like to offer some feedback for me to put on to our new web site (which is in development), I’d really love to hear from you. In the mean time, thanks to today’s sender, Helen – it really is appreciated. After waiting several weeks for it to arrive, I finally have an Apple Watch in my hands. 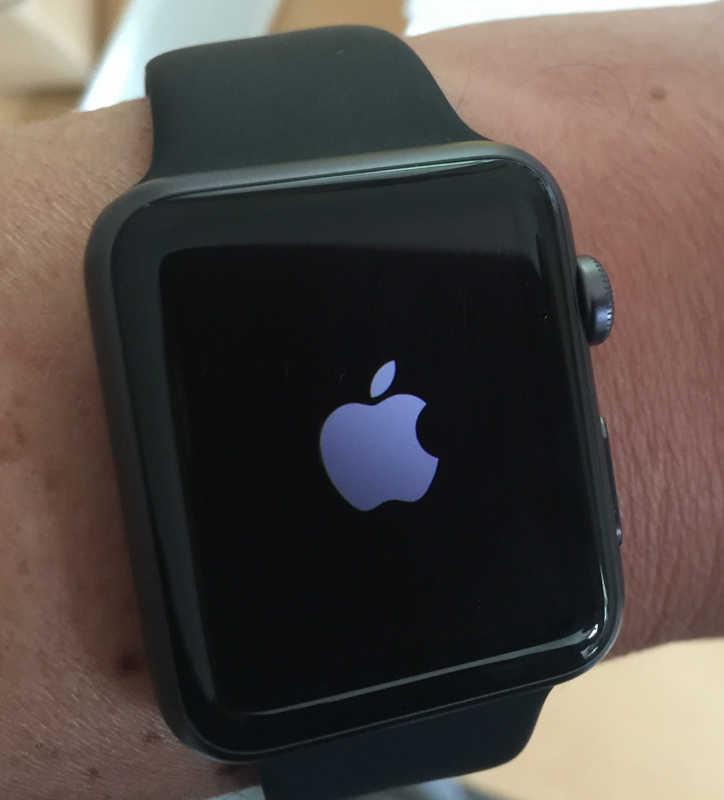 As I wrote in my post before the Watch was announced I went for the 42mm Sport version in Space Grey. Without further ado, here’s my Apple Watch early review.Ordering & ShippingOf course the model I went for happened to be the most popular in the entire range, so shipping took some time (after the ordering window opened, it took me too long to get into the Apple site so there were obviously a lot of orders ahead of me).My initial delivery date was June, but around the middle of May this changed to the end of June, followed a couple of days later by mid-June. Then on the 25th of May it moved to ‘Preparing for Shipment’, finally arriving last Friday (29th May).UnboxingAs always with an Apple product, the packaging is part of the appeal. Once you get inside the brown shipping box, the Watch packaging feels and looks like a premium product (which it is at the prices we pay I suppose). Inside the outer cardboard box, there’s a plastic watch box which is reminiscent of the old style white MacBook, and underneath that the usual array of accessories for the Watch (charger, instruction leaflet and small wristband). Speaking of the charger – the new design is amazing!